The Bureau of Labour Statistics reported 1.2 million TA’s in the US schools in 2012 and 9% growth is expected before 2022. Four in ten TA’s work part time and the vast majority, as expected, are women. But are we gaining the best from this valuable workforce and are we providing enough ongoing training & access to educational manuals & equipment? The role of the TA, until recently, was very much a support only role – an extra body to help hand out sheets of paper and keep a disciplined classroom as well as offering physical and emotional support for those with special educational needs. However, the role is expanding, and has significantly more potential too. After all, the Teacher can’t do everything; it's impossible for them to have their eyes on a full class and execute the lesson according to plan, and in line with educational targets. Popular hands-on science lessons can become rich learning grounds when there are TA's to help guide and support individuals or groups that require additional help. For the Teacher, an effectively utilized TA, will be their “right arm”, reducing their overall workload and keeping stress to a manageable level. TA's can offer an extra dimension to the class, particularly when encouraging pupils to act more independently in their learning. For the student, they can be of even more value as TA’s have the luxury of building a different relationship with the student. A relationship based on one-to-one communication, something the Teacher isn't always able to offer. Studies show that while the Teacher and TA ultimately share the same goals for their students, there is significantly more scope to work better together. Communication and opportunity in advance of a lesson can be limited and many TA’s get into a lesson without any knowledge of what will be taught. Evidence shows that more can be done to prepare TA’s to make a more meaningful contribution and add to their skill set for future classes. 'Professionalize': Create a vision for the TA, defining their role and expectations. Given that they don’t have the same educational experience as a Teacher, this needs to be pitched correctly. On a professional level, a TA should be reliable, know the names of the students, build good relationships with faculty and show enthusiasm for the subject. Preparation. TA’s can only be as effective as the teacher enables. Knowing the content and educational goals in advance of the lesson is essential. TA’s will be more confident with some time to consider their role. Teachers should also inform their TA’s of the skills they need to use during the lesson to support them fully. When helping in hands-on science classes and helping to guide students with scientific experiments, TA's should be aware of all equipment and safety procedures. Performance. Teachers should be working with TA’s to improve specific skills & offer an opportunity for feedback from both sides. 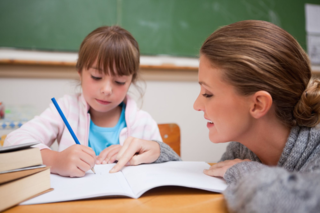 For example, a TA might be too quick off the mark to provide the answer to the student to a challenging task, to avoid possible silences and to “help” the student. Teachers can encourage TA’s to use more effective questioning in their classroom so that a student can go from dependent to independent learner. Results for the student and Teacher are greatest when the Teacher supports the TA to ensure they are familiar with the course work, equipment and expected outcomes. TA's will then be better equipped to give valuable support to both teacher and student, enabling the classroom to become more organised and productive. National Teaching Assistants Day allows us to show our appreciation for TA’s helping in UK schools. A survey showed 96% of UK Head Teachers believed TA’s add value to their school. It’s a fact that our classrooms have a valuable resource just waiting to be tapped into. Teachers have access to a wide range of material that can be shared with their TA to form a brilliant partnership with the best opportunity for the educational needs of their class. How much information do give your TAs about your lesson plans? Check out our extensive library of Free Downloadable material to help you with your science classes. Order new educational models, science kits, discussion pieces and equipment to stimulate discussion and learning in your classroom.